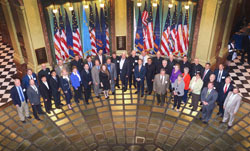 Below are images of some of the groups in the 36th District that have visited the Capitol. Click on the thumbnail to view the full size photo. 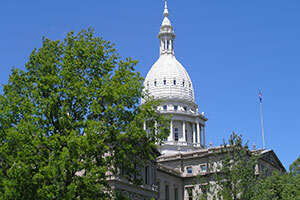 Photos on this page are intended for media and public use and may be freely reproduced. 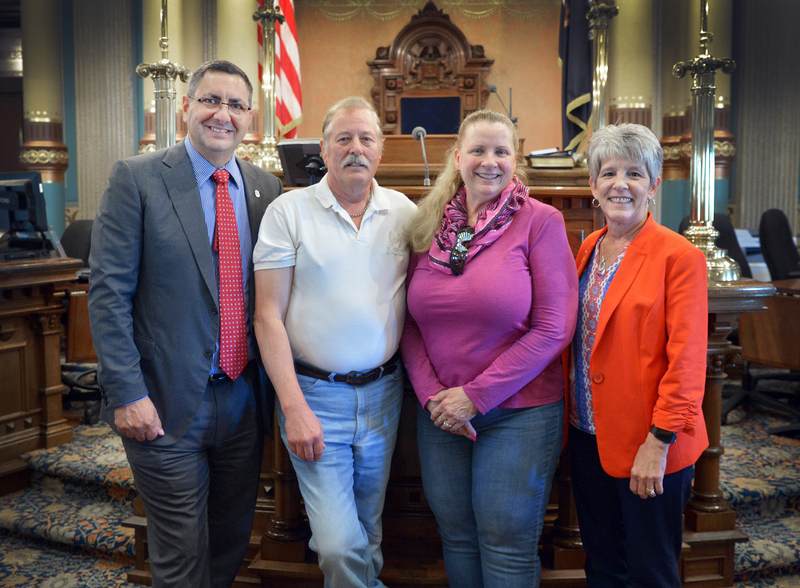 Sen. Jim Stamas, R-Midland, (left) and Rep. Sue Allor, R-Wolverine, (right) welcomed Iosco Exploration Trail advocates Dana and Jane Hayward to the Michigan Capitol on Thursday. 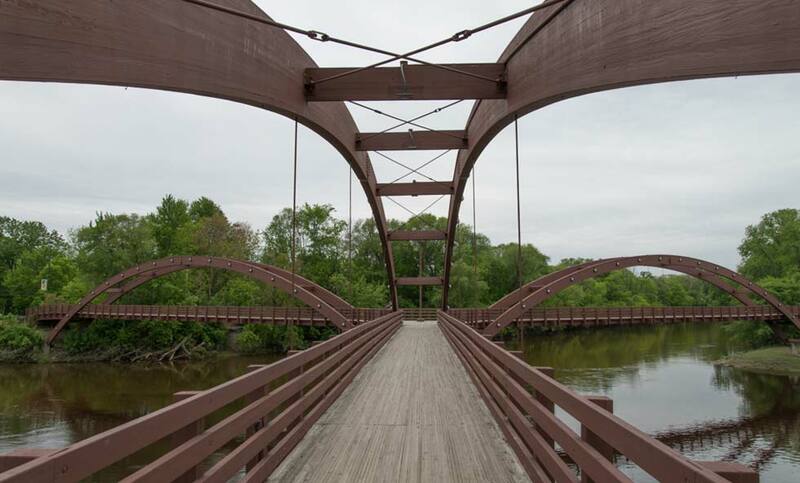 Once completed, the nearly 38-mile-long Iosco Exploration Trail will be part of the state&apos;s Iron Belle Trail through Iosco County. 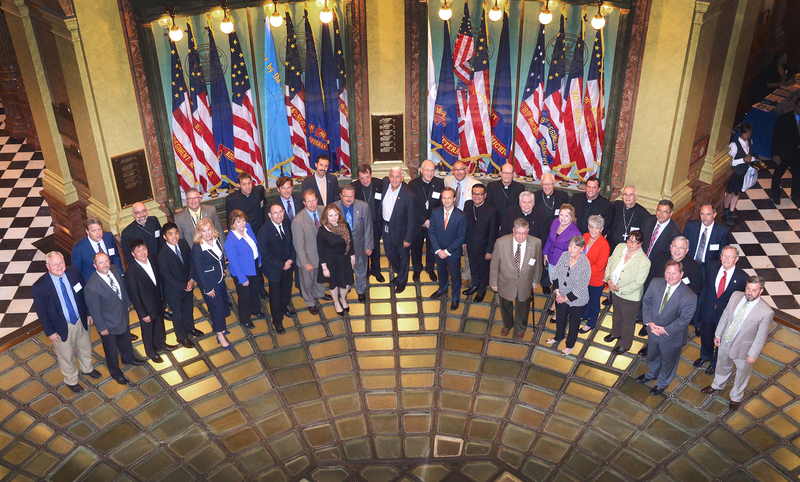 Sen. Jim Stamas, R-Midland, and Senate colleagues from both sides of the aisle welcomed Michigan&apos;s Catholic bishops to the state Capitol on Wednesday. Among the bishops at the Capitol were Bishop Steven Raica of the Diocese of Gaylord and Bishop Joseph Cistone of the Diocese of Saginaw. 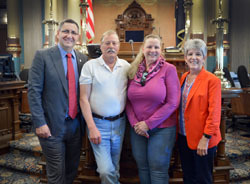 Sen. Jim Stamas, R-Midland, welcomed the family of Marine Lance Cpl. 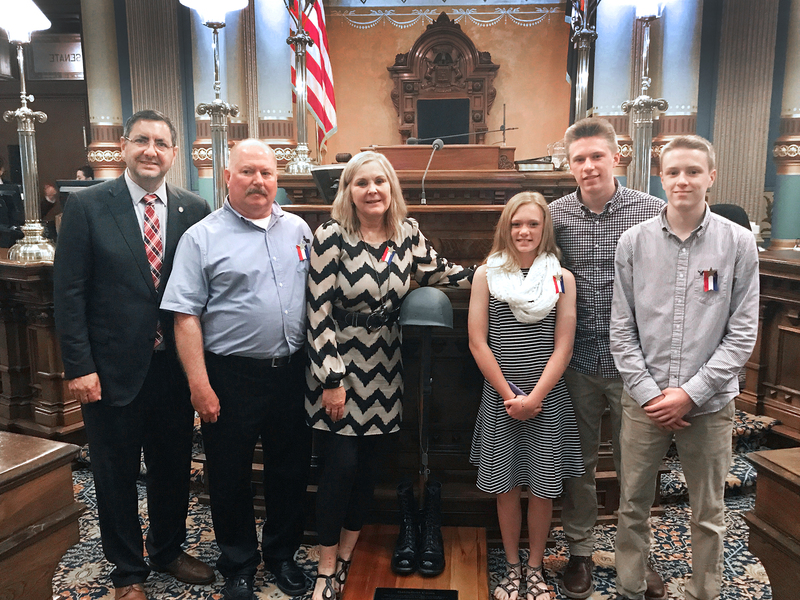 Ryan John Burgess to the state Capitol on Thursday for the Michigan Senate&apos;s 23rd Annual Memorial Day Service, which honored Michigan&apos;s fallen soldiers. Burgess of Sanford was killed in Iraq in 2006. His family attended the ceremony with Gold Star families. 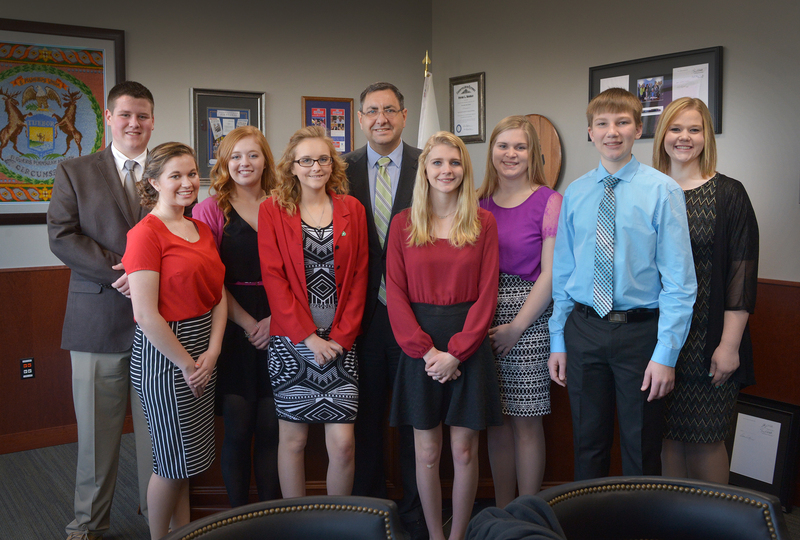 Sen. Jim Stamas, R-Midland, welcomed 4-H members from Arenac and Iosco counties to the Michigan Capitol. The group was in Lansing as part of the 4-H Capitol Experience, an annual four-day conference that focuses on civic engagement and public policy. 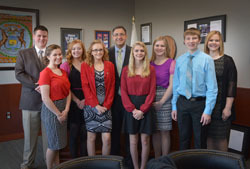 Pictured from left: Liam Straver, Joslyn Nelkie, Halle Matthews, Jennifer Colvin, Stamas, Hannah Hayes-Butterfield, Miranda Hall, Brody Ruckle and 4-H Program Coordinator Kelli Rau.